The prime minister is making the rich corporates richer and poor people poorer through his policies, the CPI(M) general secretary claimed. Sitaram Yechury also claimed that PM Modi is pro-corporate. 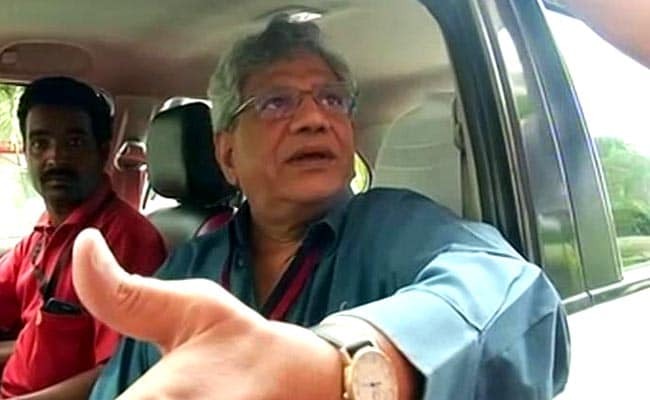 Agartala: CPI(M) general secretary Sitaram Yechury today alleged that Prime Minister Narendra Modi had made a number of tall promises but did not keep them. Addressing an election meeting at Jolaibari in South Tripura district, Mr Yechury also claimed that PM Modi is pro-corporate. "What about his promises on unearthing black money and bringing back huge amounts of money stashed abroad by big capitalists?" he asked. He also raised the problems of unemployment, farmers' suicide and oppression of dalits in the country and expressed grave concern over efforts to divide people along religious lines. "Unless this government is removed from the Centre in the next election, the country will be in a dire state," Mr Yechury said.